The former Wigan St Pats ARL player turned professional with Wigan and worked his way through the ranks before making his debut in 2001. In 2006, he was signed by Huddersfield after making over 100 appearances for Wigan. In 2007, he was called up to Great Britain squad to face France. 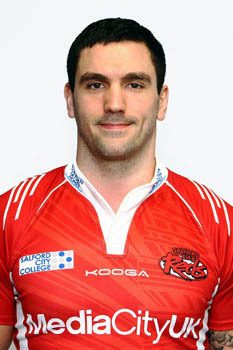 After playing 129 games for Huddersfield, Wild signed for Salford in 2011. Wild was made captain before the start of the 2012 season.